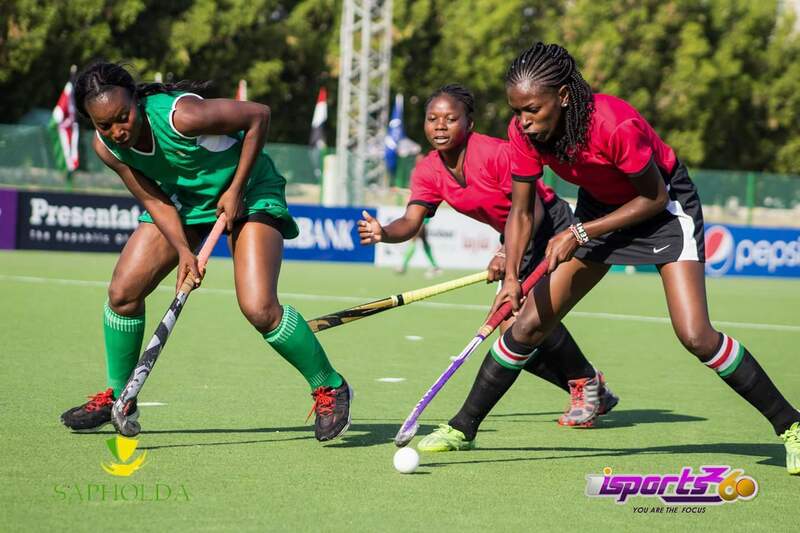 Ghana’s female Black Sticks continued to impress in this year’s tournament with a massive win over host nation Egypt while Kenya edged out Nigeria in the 2nd game of the day. It was a day to forget for host Egypt as they succumbed to a 6-0 heavy loss at the hands of Ghana at the Suez Canal Authority Hockey Stadium. The game started with the West Africans mounting pressure on the host to get a win and close the gap on leaders South Africa. Vivian Narkuor scored in the 10th minute to give Ghana the lead. Elizabeth Opoku increased the tally a minute later for the West Africans. Narkuor scored again in the 18th minute to register her brace and take the game beyond the reach of Egypt. Nafisatu Umaru increased the tally to four(4) in the 22nd minute with a drag flicked penalty corner before scoring another penalty corner in the 44th minute to get her brace and join the likes of South Africa duo Chamberlain Dirkie and Sulette Damons as tournament top scorer with 3 goals. Emelia Fosuaa got her name on the score sheet for the first time to round-up a comprehensive win for Ghana. Kenya and Nigeria both losers on match day 2 , locked horns in the last game of the day. The game touted ‘meeting of losers’, was a highly contested one as a loss will mean goodbye in this tournament to either teams. The game travelled the first 3 quarters without any goal being registered. With a minute of regular time to play, Amutebi scored the first and only goal of the game which saw the Kenya team register their first win of the tournament and increase their chance of playing in the medal zone. The game ended 1-0 in favour of Kenya. Ghana moves 2nd behind South Africa with same points but are only separated with goal difference. Kenya moves above Egypt into 3rd with their win over Nigeria. The women in green sit bottom of the table with a single point.